Ferrites have emerged out as excellent material for a broad spectrum of applications. Thick films of these materials have great demand for energy and advanced electronics. This review highlights a brief overview of the spinel-type of ferrite thick films (S-FTFs) development right from their historical developments, preparation strategies and state of art applications. The fabrication of S-FTFs includes the discussion on screen-printing, doctor blade tape casting, plasma spray, and spin coating. The comparative analysis of the screen printing technique to the other methods is provided to assist the scientific community during the process of choosing the most suitable fabrication technique. 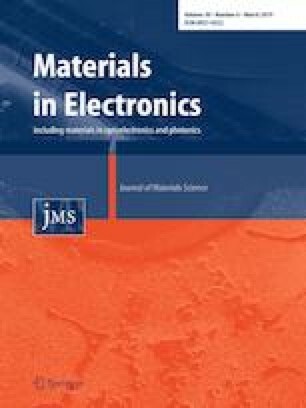 The influence of the synthesis parameters such as temperatures (pre-sintering and final sintering), binders (organic and inorganic), sizes (crystallite, grain, and particle), substrate material and the final heat treatment process in S-FTFs, and the preparation of the ferrite powders and their fabrication technique are review and summarized. Moreover, this review provides a brief overview of the S-FTFs applications, which are classified into four broad categories: sensors, microwave, magnetic and advanced applications. This classification provides a deeper insight into the potential of the S-FTF applications. The motivation in materializing the review of S-FTFs technology is to inspire aspiring research candidates and boost their research interest in this particular field. The online version of this article ( https://doi.org/10.1007/s10854-019-01092-8) contains supplementary material, which is available to authorized users. All authors are very much thankful to Key Technology Research Foundation of Henan Province (Grant Nos. 172102410078, 172102310532) and Foundation of Henan Educational Committee (Grant No. 17A150023) for giving research funds. We thank Dr. Daibing Luo from Analytical & Testing Center of Sichuan University for the discussion.